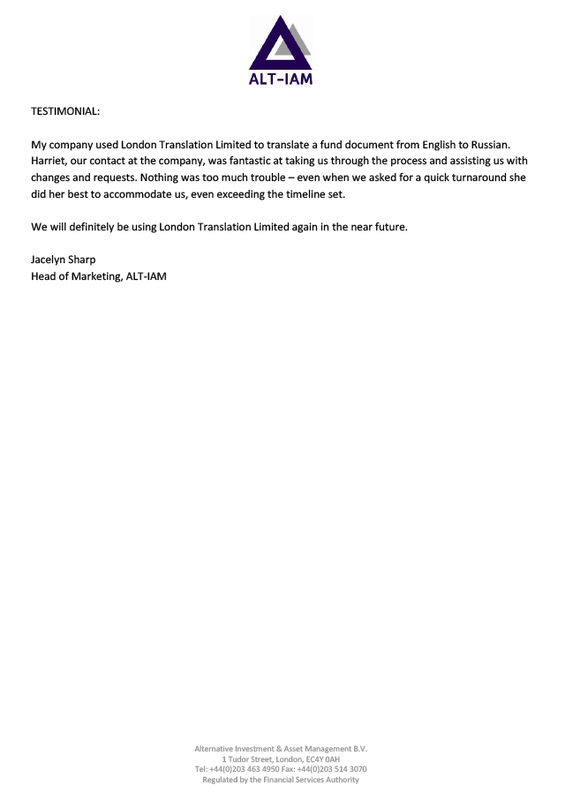 My company used London Translation Limited to translate a fund document from English to Russian. Harriet, our contact at the company, was fantastic at taking us through the process and assisting us with changes and requests. Nothing was too much trouble – even when we asked for a quick turnaround she did her best to accommodate us, even exceeding the timeline set. 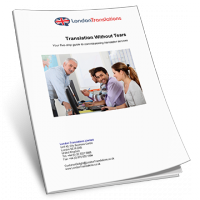 We will definitely be using London Translation Limited again in the near future.